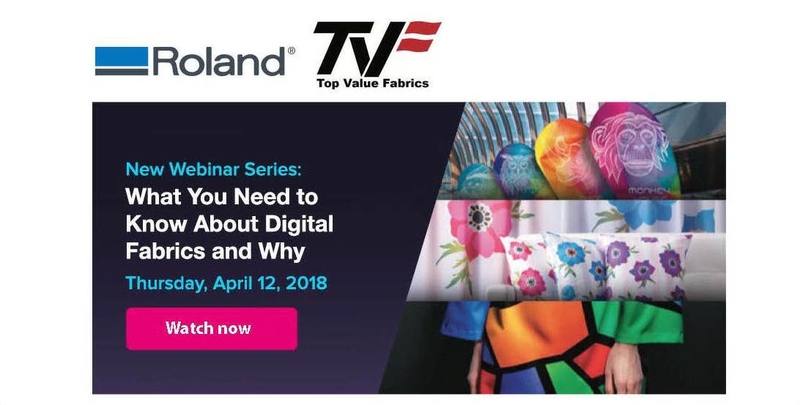 Top Value Fabrics and Roland present a comprehensive 6-part webinar series focusing on fabric fundamentals for Dye Sublimation printing. Experts explore a wide range of topics including fabric constructions, testing requirements, and printing techniques. TVF’s Mike Sanders and Roland’s Lily Hunter dive into some of the most challenging aspects of dye sublimation printing and participants will come away understanding how fabrics impact the digital printing process. Whether you’re interested in signage, apparel, or home furnishings, this webinar series will take your business to the next level.